All Thread Check Inc. thread ring gages are root relieved for longer gage life and more accurate gaging. 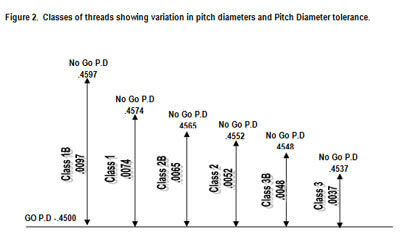 Thread ring gages are manufactured with a root clearance in the major diameter which eliminates the possibility of interference from the full form section of the thread setting plug and major diameter of the part being gaged. This critical feature assures that the thread flanks are making proper contact. For very tight tolerance dimensions, air gaging is a proven inspection tool that allows for measurements to be made faster, more accurately and more conveniently than other gaging methods. Air gages are unsurpassed for speed and accuracy in measuring tight tolerance holes. For checking other dimensional features; air gages offer sufficient magnification and reliability to measure tolerances typically beyond the capability of mechanical and fixed limit gages. There is no special training required for production workers to use air gages. No special techniques are required like with certain types of fixed limit gaging. The inspector simply inserts the air plug in the hole or air ring onto the shaft and reads the meter. Air gaging is economical and versatile. After the initial purchase of the gage system, additional gage tooling can be purchased for a wide variety of jobs. Air gaging’s adaptability enables it to become a core function of a company’s quality control system. Air gages accurately measure a wide variety of dimensions and are particular suited to checking dimensional relationships. Air gages are ideal for taper, parallelism, squareness, straightness, and center distance. Match gaging, which allows the selection of mating parts for a specific amount of clearance or interference, is easily done with just one reading on one dial. As a non-contact measurement, air gaging is ideal for checking soft or highly polished material. It is also ideal for thin walled or delicate material. Small gage heads with remote meters provide air gages with a distinct advantage in measuring multiple dimensions. Air gaging is often combined with electronic signaling to provide instant indication of part size. Air gages can be easily adapted to measure parts in a machine. The small gage head allows an operator to make measurements while the part is still in the machine or fixture. The air also cleans the part’s measuring surface area of coolant, oil, and small chips. 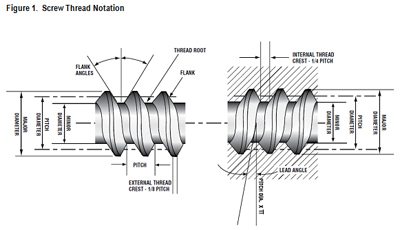 Contact Thread Check Inc. to discuss your specific air gaging requirements.